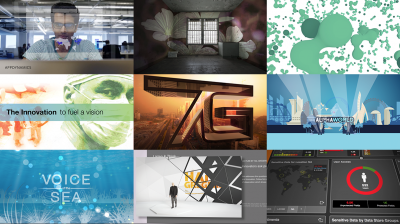 7G productions is a California based production company specializing in Motion Graphics. Our small crew works to provide an efficient one stop shop for editorial, graphics and music production. New to 7G productions this year are Photographic services. Adding an on set photographer can offer options for post-production and with our portfolio of unique photography you can add a custom touch to your piece. 7G Productions has always prided itself on honest assessment of scope of work, reasonable estimates, and finding the balance between efficient work flow and expressive creativity. Feel free to call or contact us through the contact page. We look forward working on your next project. Vector based animations are a large part of the production schedule here at 7G. Our years of experience working with vector based illustrations will allow us to quickly adjust file structure for animation within After Effects. 7G has worked with numerous production houses and agencies in San Francisco including, Atomic D, First Person, Remedy Editorial, Full Frame productions just to name a few. Please click on the examples to see our work in action, check out our posts to get more information on vector based work. Live music photography can present challenging conditions. Jockeying with the crowd, climbing around on stage while trying not to detract from the fleeting moments in front of you. Knowing the music and the arc of the performance helps tremendously… Read more here. Having worked with Rayko Photo Center as a PR Photographer I use that and other on set experience to add a new dimension to your Event Photography. Whether it’s documentation for Yelp or Social Media or website collateral 7G productions can get out done. Since 2012 we have been developing our photography chops shooting as the PR photographer for Rayko Photo Center and as band photographer for OTIS a SF based soul review and many others. In addition to live shooting we offer a large library of Stock Photos you won’t find anywhere else. Check out the Adobe Stock portfolio. If we don’t have it we will go and shoot it! Ebay, San Disk, Adobe, Medtronic, Samsung, Genentech, Pandora, University of Phoenix, Dun and Bradstreet, Stanford Health Care, Java, Intel, SAP, Cisco, App Dynamics, Onlive and many others.